David Gaffin of Greenpark Mortgage, www.massmortgageblog.com, is here with a superb summary of what’s now going on with Massachusetts (and national) residential mortgage market. Lot’s has been happening in the Mortgage World lately. Refinance business is very good. Purchase business is fair, heading into the all important year end buying season. I will let this post be a little more free-form than my taking a particular topic and expounding on it (or beating it to death) depending on your perspective. FHA has changed guidelines… Again. USDA is still not guaranteeing loans. Fannie and Freddie need another $200 billion of taxpayer money. Foreclosures stopped and started again. What could that mean to you and me? The Fed is meeting on Nov 3 to either lay the hammer down on Quantitative Easing II or will do nothing and really mess up interest rates. 1. So you want to refinance? My suggestions: A. Get started now! Loan pipelines continue to be backed up. Remember the bad old days when rates were an exorbitant 4.75% for a 30 year fixed rate and everyone re-fied? When was that again? Oh, right. JUNE. Well many of those same people are now re-fiing again in the low 4′s, possibly high 3′s. And people who were late to the party are adding on. So don’t expect your file to be closed in less than 60 days. Many lenders are at 120 days for refinances. If you have a current home equity line of credit that you plan to keep open, add another 30 days or so. It is not all doom and gloom. I know of many files that were closed in less than 45 days. Purchases always get priority and about 30-35 days is the requirement. If you lender can’t get it done in that time, well my contact info is below. Don’t be cranky with your loan officer or processor when they request enough paper work to rebuild a forest. The secondary market has really toughened its verification guidelines, cause no one wants to be left holding the bag on a loan that goes bad. Everyone wants to ensure that the underwriting, appraisal and income verification has been double and triple checked. End of year buying season has begun and the clients that want to be in their new homes by year end must make some decisions soon. We should see a boost in P & S activity over the next 30 days. If that doesn’t come to fruition, it could be a long dark winter for many of my realty friends. But rates are great! If you bought the same priced home 2 years ago, you would have paid 5-20% more than current prices and your interest rates could have been more than 2.00% higher. Now is a GREAT time to buy. I know that is self-serving, but I am a numbers and value guy. I don’t like seeing the value drop in my house either, but if I were buying I would be psyched! FHA needs money to keep guaranteeing its loans against default. Every borrower pays a fee to get into the program and to ensure its continuation. So the fees got changed. FHA lowered the UPMIP (up-front mortgage insurance premium) from 2.25% to 1.00%. Sounds good right? With one hand they giveth and the other taketh away. The monthly mortgage insurance will virtually all FHA borrowers pay has moved from .55% of the base loan amount to .84% monthly. On a $200,000 loan the old cost over 7 years was $12,200 and the monthly MI was $91.67. Now the projected expense is $13,760 and the monthly MI is $140.00. Most investors have now raised the minimum credit score requirement from 620 to 640. FHA is still the best choice for borrower’s with credit scores under 660 and who may have little equity or down payment or who need higher tolerance levels for debt to income ratios. The USDA which offers a great program, or at least did, can’t seem to get its funding in order and therefore cannot issue any conditional guarantees for loans. USDA offers several advantages over conventional and FHA loans but they are proving very hard to get. If you would like more information on the availability of these loans, send me an email. Freddie and Fannie are in more trouble with losses. Do we shut them off and let the private sector take over? We can but rates would rise dramatically and put an even further damper on the housing market. Given that TARP actually turned a profit, I think any additional funds to rescue the GSE’s should have an opportunity for the taxpayer to make a return on the re-sold properties even if it takes years to divest the shadow inventory that they own. Speaking of shadow inventory… Foreclosures are on again/off again/on again. 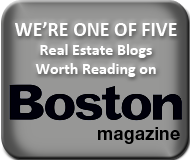 For legal thoughts on this check out the Mass Real Estate Law Blog by Rich Vetstein and Marc Canner. My thoughts are that although there will be a delay to ensure that the legal work has been properly done, people will unfortunately continue to lose their homes. Many will lose them due to the economic downturn or medical reasons. Others will have lost them to predatory lenders or poor decision making on their parts. I don’t really want to get started on “It was all the lender’s fault.” Needless to say, a reason the paperwork requirements exist today, is reliant upon the the lack of paperwork requirements and shoddy underwriting in the past. I could write several scrolls on this whole mess, but I don’t wish to bore. It may already be too late. Possibly the greatest short to mid-term driver for interest rates will be what the Fed decides or doesn’t decide to do at it’s next meeting. The market has baked in that the FED will ease monetary policy further. If they don’t come through in a big way the stock market most likely will drop and interest rates will rise. But how much will rates rise? Probably enough that any one who re-fied this summer won’t be able to do so again, or at least until some other economic driver comes to bear. So get off the fence and talk to your loan officer NOW. Why Have Obama And Romney Ignored the Housing and Real Estate Market? Next post: Appraisals, Assessments and Zestimates, Oh My!